LOS ANGELES, Calif. /California Newswire/ — Neotrope, a California-based 30-year old innovative marketing and technology firm, has announced a new program to help public relations agencies and solo PR firms adopt a local 501(c)3 charity and promote it for free. "We came up with this program with two things in mind," says Neotrope founder and CEO, Christopher Laird Simmons, a member of PRSA, and ASCAP. "First, many worthy causes we were donating services to didn't have the resources to actually craft the message for their events, fundraisers and to announce halo sponsors. Second, many local PR firms are already working with at least one non-profit, but often don't have the budget to do regular distribution via a legitimate wire service, and end up posting news on a junk 'free posting site' in another country. Which doesn't really help anybody, especially the charity." Here's how it works: any PR firm using the Send2Press Newswire service (www.send2press.com) will get a free press release package with each plan purchased. The free plan would be donated to a local worthy cause "adopted" by the public relations firm, or solo PR practitioner; and the PR firm would help the charity craft the announcement, if needed. To use this "PR Adoption Program," an agency or APR simply needs to use the Send2Press Newswire service to issue a press release for any client, and they will then have a free release to use at any time for their chosen U.S.-based 501(c)3 non-profit. The agency would help the charity craft the news announcement, or simply provide a release prepared in-house by the charity, on their behalf. The program will run through the end of 2013, but may be extended if it proves popular. The free service has a value up to $200. There is no fee to participate in this program, and all Send2Press press release distribution offerings are "pay as you go" with no annual or monthly membership fee. "This can also prove a great way for local PR firms to get more involved with local causes, if they're not already doing so," adds Simmons. "This idea came about as a follow-on to our 'Freebie Friday' program, where 501(c)3 charities could give us a release free on Fridays, to post online only, as time permits. That program is also still available for charities without a PR firm helping them." Neotrope(R) has a long history of donating services to worthy causes, including sponsoring the annual JL Simmons Non-Profit PR Grants(TM) program. 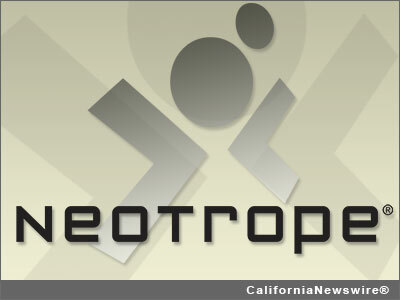 Neotrope, established in 1983 and celebrating its 30th anniversary this year, was an Inc. 5000 listed company in 2009. The Send2Press(R) Newswire service, launched in 2000, provides affordable "concierge style" targeted news dissemination services to traditional U.S. print and broadcast media, as well as search engine placement, social media hand-work (including custom tagging), and free photos and video options with every release. All staff are accredited PR professionals and working journalists, not order takers or telemarketers. Learn more at: https://www.send2press.com/ .